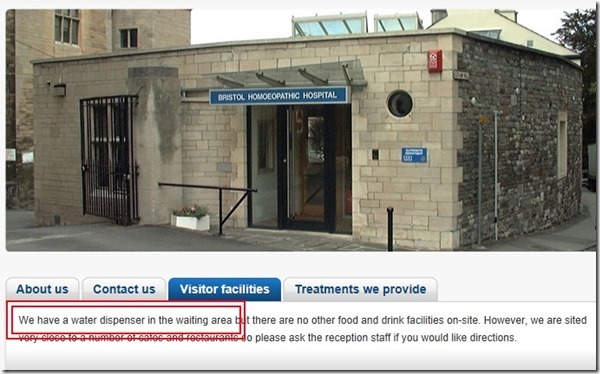 I think more hospitals should be self-service. 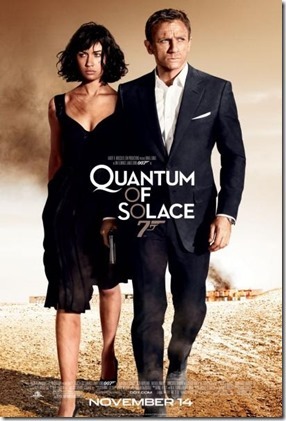 It’s almost identical to the poster for Quantum of Solace. 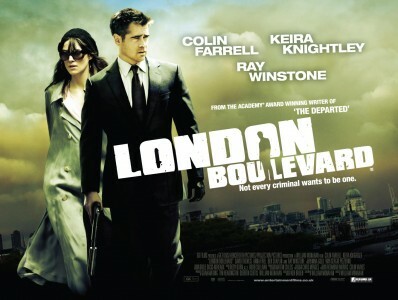 I get the feeling I’ve seen this poster for many other films too, I just can’t place it at the moment. I’ve just had to put CAPTCHA on the blog comments here, because of too much spam. The spam filters are fine, but there was just too much spam being added. I was only really bothered by this when my hosting company informed me I was over quota – about 2.5GB over my 1GB limit. I traced this to the database, and after (manually) clearing out the spam comments, couldn’t fathom why it was still too high. The database itself was only about 6MB (as a backup file). It turns out all that database activity was being logged, and the log file was over 3GB. So I can’t just allow rampant spamming, even though the filters were really pretty clever. At some point, I intend to re-write the SQL provider for this blog that will help me keep that sort of thing to a minimum – I was gobsmacked when I realised that if I edit a post (for example, to correct a mis-spelled word, add a tag, etc) every comment was deleted and re-added. Even to add a comment, every comment is deleted and re-added. Surely, that’s not necessary… but I have other projects to get out of the way first. Maybe a resolution for next year? This last weekend, I got bit by the genealogy bug again. It started off as an investigation as to why my existing GEDCOM file didn’t work in a WPF demonstration app (Family.Show), and kept losing relationships. It turns out that the GEDCOM format requires a relationship (or FAM record) to specify the two people who are ‘husband’ and ‘wife’ in a family, but also that both those people must have a reference to the relationship. Technically, you can say that it is a poorly formed file if it doesn’t have all those links in place but I prefer to think of it as a weak file format if it allows such ambiguity. My particular family tree file works fine in Family Historian (the program that my Dad and I use to edit the tree), but opening it in Family.Show loses relationships. It assumes that if Alice has Bob listed as her husband, then Bob should have Alice listed as his wife regardless of whether he does or not. Anyway, from the techie stuff, I looked at alternative file formats, but quickly got side-tracked by different pages about how to research a family tree. It seems that the best way is to go to the records office and trawl through by hand, which is a bit time-consuming. Online databases are patchy, and don’t provide a great deal of detail. There is an excellent site at www.freebmd.org.uk that is aiming to get the indexes of births, marriages and deaths online for free search, but they will only give information in three month ranges, not at specific days. The amount of other information is also fairly sparse, such as places and names. They do tell you where the certificates will be found, so you can order them (at a cost of approximately £9). This is without even knowing for sure that it is the person you’re looking for more information about! At almost £30 per person (if you want the whole set of birth, one marriage and death records), the hobby becomes quite expensive. I don’t know if harassing a local records office will actually yield more information or not, but it’s worth a try to circumvent those costs. On the other hand, I did find a Family History Society based on the Isle of Wight that has made the island’s records searchable and incredibly easy to use. It’s slightly easier that FreeBMD to search things on, and remembering my mother and some of her siblings were born on the island, I plugged in the few names I had for that side of the family to see what I could find. I got my granddad’s birth record back which gave me his mother’s maiden name (although it only gave me a year for birth, not a day). I checked her surname for marriage records with his surname, and found one match. This gave me my great-grandparents full names. Putting those into the birth records gave me years for their births, and their mothers maiden names. So I repeated, and went backwards. I’ve hit a couple of dead-ends – people who must have been born or married off of the island (hey, it happens), or multiple possibilities of who a person is (one Toogood I found could have been any one of a half-dozen recorded births). But I managed to get a couple of lines with confirmed dates in the 1860s, and names for the generation before them. All based on free information I found on the internet. Which is slightly scary. One afternoon’s work gave me about 50 new names to add to the tree – and for a change, it’s going backwards! One of the hardest parts of building a family tree is keeping it up to date. At present, at least three of my cousins are expecting babies in the new year. This is it, as it stands today. The highest point on the far left, and the third of the chart on that side is where my Dad got to researching his line. The two-pronged point in the middle and the two slightly lower points either side are what I managed to research from the Isle of Wight Family History Society. The two low points on the far right are what we’ve managed to get for my wife’s family so far. The lowest point on the chart (about 3/4 of the way along) is my son, around whom my tree research is based. Unfortunately, not all family history societies are quite as useful as the IoW’s. The Bristol and Avon FHS has a research room in the records office, although from the look of the website I originally thought it might have been a ‘quirky name’ for the records database search of their own site. The website gives off a bit of the 1995 vibe – alas, a lot of FHS websites have a bit of an ‘information superhighway’ feel to them. It turns out that to find information, one must physically leave their desk and look for it! It feels, in this modern age, a little bit strange to have to know what area you’re looking for and actually go there to find records.